The "Bible" of horsemanship. What you understand of the book is what you have felt in your experience, not merely what you have intellectualized about. True Unity allows the reader to feel and see the horse in the way Tom saw and felt the whole horse - a challenge for some, but a venture entirely worth-while. Ray Hunt's philosophy is discussed in this book in a way that makes the reader feel as if he is listening to Ray talk. For many years, Ray Hunt has traveled the world "to unite the horse and rider into one working unit of both mind and body." Describes numerous was of handling and riding horses with a soft feel, illustrated with many photos. 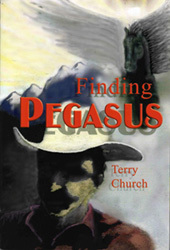 A compilation of stories written by Tom's students, relating a variety of lessons, experiences, and insights received from the master horseman. Many words of wisdom and beautiful photographs compiled from the notes of this former instructor from the Spanish Riding School in Vienna. Applies to all riding disciplines. Covers principles and methods of classical training and riding, the seat, the aids, and the education of the horse, motivated by a quest for a deeper understanding of the physical and psychological make-up of the horse. The author was a former Commander of the Spanish Riding School in Vienna and currently teaches in the United States. The Principles of Riding, by the German National Equestrian Federation. A concise and well-written guide to the schooling of horse and rider. It contains a guide for correct terminology, types of tack and its use, describes the seat and the aids, and illustrates basic figures for schooling the green horse. It's not "natural" horsemanship, but the book contains key information for any serious student of dressage, and would be useful to any serious horseman. A continuation of The Principles of Riding, becoming much more descriptive and specific about dressage movements and how to school them, along with some information about eventing. Teaching Exercises, by Maj. Anders Lindgren. This former head of the Swedish Stud at Flyinge compiled a series of exercises to help prepare the dressage rider and competitor for each level, Training through Fifth (or Prix St. Georges, essentially). Maj. Lindgren was one of the more "Tomish" of the international dressage instructors, and had a genuine concern for the well-being of the horse. A leading veterinarian from Germany explains the functional anatomy of the dressage horse, including detailed diagrams of the muscles and ligaments used to develop the horse according to classical principles. In common language, he explains which muscles and ligaments are used, and how the overbent "rollkeur" and other flashy movements used to sell and show dressage horses are only to the animal's detriment. Seabiscuit is an American legend who captured the imagination of the American people in a time of want. A well-written and inspiring recounting of the famous race horse and the people who cared for him in spite of their desperate situations. A great read about overcoming incredible odds during the Great Depression. As an autistic person, this author has a unique perspective on the world and offers fascinating insights about how animals think and feel. Her professional training as an animal scientist has added to that perspective, offering a bridge between the the two worlds. In 1939, Col. Podhajsky was entrusted with the direction of the Spanish Riding School in Vienna. This book describes the precarious existence of the school and the Lippizzaner breed throughout WWII. In spite of official opposition and a continent under siege, Podhajsky managed to lead the horses away from the air raids on Vienna to the safety of Upper Austria. The story inspired the Walt Disney Film, Miracle of the White Stallions. Great examples of how horses can teach us to be more considerate and aware of the world around us, challenging us to be better horsemen and women, and better people. FICTION: Children ~ Young Adults and Adults will like them, too! Agba, a simple groom in the royal stables of the Moroccan court, is selected to accompany his stallion to France. Sham, along with five other horses, is the golden bay named for the Arabian sun, and meant to influence the race of horses throughout Europe. But when Sham and Agba arrive, they are cast aside as worthless. However, Agba's loyalty to his horse will change the history of the Thoroughbred breed forever. Laura Ingalls Wilder, born into a pioneering family, describes a fascinating tale of her life, but also makes some insightful observations about horses. The entire "Little House on the Prairie" books are well worth the read, for adults as well as children. "Long ago, a lone little burro roamed the hight cliffs of the Grand Canyon and touched the hearts of all who knew him: a grizzled old miner, a big-game hunter, even President Teddy Roosevelt. Named Brighty by the prospector who befriended him, he remained a free spirit at heart. But when a rughthless claim-jumper murdered the prospector, loyal Brighty risked everything to bring the killer to justice." "This is the story of the little runt who became the father of the world-famous breed of American horses - the Morgan. Joel Goss knows that Little Bub is a special colt, even though he's a runt. When school teacher Justin Morgan asks Joel to break the colt in, Joel is thrilled! Soon word about Little Bub has spread throughout the entire Northeast - this spirited colt can putt heavier loads than a pair of oxen, and run faster than Thoroughbreds!" Sister and brother Paul and Maureen Beebe become involved in the yearly roundup of wild ponies on Chincoteague Island. "The magnificent black mare has eluded the roundup for two years, but Paul is convinced that she will follow him through the channel to the mainland." A great story that describes the actual tradition that takes place on America's east coast." "Alec Ramsay is the sole human survivor of a devastating shipwreck. Trapped on a deserted island, Alec finds his only companion is a horse, beautiful, unbroken, and savage... a horse whose beauty matches his wild spirit." This is the first in a series of adored books by Walter Farley. "As a young horse, Black Beauty is well-loved and happy. But when his owner is forced to sell him, his life changes drastically. He has many new owners - some of them cruel and some of them kind. All he needs is someone to love him again..."
A partially fictionalized but well written and exciting tale of the leading foundation sire of the American Thoroughbred. A great read for all ages!